Perhaps the most noticeable advantage offered by Invisalign® is how very unnoticeable it is. These invisible adult braces can be worn comfortably under nearly any circumstances and are often only noticeable to those who know you have them. However, while this benefit may make Invisalign more attractive to adults and older teens, it represents only one of the many advantages offered by this orthodontic treatment. 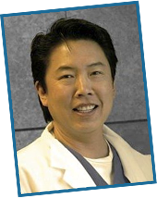 If you are considering inviable braces in the Castro Valley area, please contact Gary G. Fong, DDS online or by calling our Hayward office at 510-582-8727 to schedule an Invisalign consultation today. Invisalign straightens teeth by gently pushing them into alignment. This is accomplished through progressive sets of removable aligners that, when worn as directed, can often produce results in as little as 12 months. Compared to the 36 month average adults need to spend with braces, Invisalign begins to look even more attractive. Because the aligners are removable, Invisalign users do not need to make dietary changes. Even crunchy fruits and vegetables that may be impossible to enjoy while wearing braces can be eaten freely during Invisalign treatment – a factor that can help you maintain a healthy and balanced diet while your teeth are being straightened. Tooth cleaning is also made significantly easier with Invisalign. Aligners are simply removed prior to brushing and flossing, allowing for optimal oral health and beauty during and after your treatment period. By contrast, braces may require specific equipment or specialized cleaning tools – all of which can make your basic daily routine seem cumbersome and unpleasant. Invisible braces offer a number of distinct advantages that Dr. Fong would be happy to discuss during your initial consultation. If you are ready to learn if Invisalign is the best choice for your smile, please call our experienced Castro Valley dentist at 510-582-8727 to schedule an appointment.